The red button resets the device, the big silver knob controls the display’s contrast. Of course it’s not really necessary to make ’em that big but…it looks funny – and sick.. The Behringer controller sends out Midi CCs when a fader is moved. Every time a CC value arives at Das Ortofo it is translated into a certain Midi Note and sent back to the BCF. The CC Number corrseponding to the note’s value, the CC value being the note’s velocity. Due to the fact that the controller is set to mode “S-2” the incoming MIDI-data are internally sent to the MIDI-THRU-Port where they can be used to drive a GrandMA console. The reason why this is done is because the GrandMa can only be controlled by MIDI Notes (many people I met told me that it’s not possible to drive faders via MIDI….don’t believe them since this one is a rather good prove against it…). The Midi values that are sent out by Das Ortofo are hardcoded. The first fader of the Behringer causes note C4 to be sent, the second C#4 and so on. Furthermore the Arduino also keeps track of 128 faderpages. Every time you hit the + / – button (the buttons at the lower right end of the BCF; please have another look at the video….it’s way easier than trying to explain) the previous / next page of faders is recreated. Also there is a MIDI note being sent to tell the GrandMA to switch to the next / previous page. 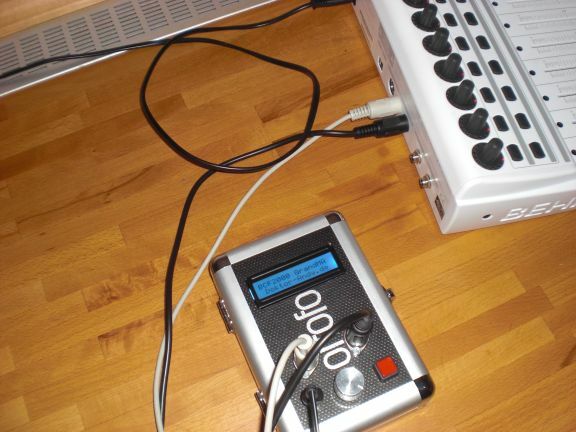 At this moment (July 2009) the use of the Behringer’s rotary encoders and pushbuttons is not yet implemented. I just couldn’t decide on what to do with them. In order to get this whole thing working you need to tell your GrandMA what to do with the incoming Midi-Data. This is done via 2 Makros. Due to the Midi values sent out by Das Ortofo being hardcoded you have to connect the ‘Page -‘ Makro to GrandMA’s Midi-Button 69 and the ‘Page +’ Makro to Midi-Button 70. (I won’t go into detail on this one. If you made it up to here you probably know how to do this.) The first time any of the Makros is triggered it takes care of connecting the right Midi-Buttons to the faders. 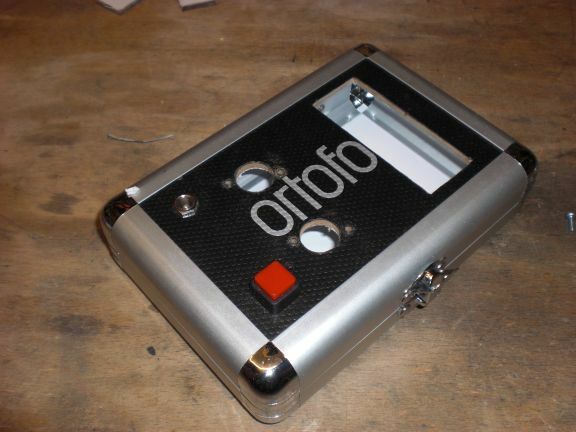 Das Ortofo (of course) only works in one direction. Changing a fader directly at the GrandMa itself (let it be onPC or hardware-based) will NOT change the state of any of the BCR’s faders. 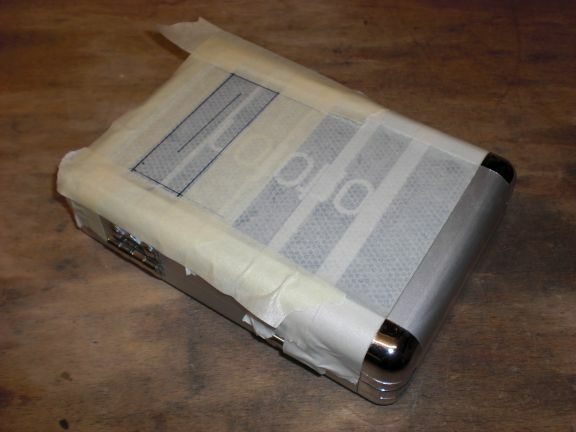 In order to get this working you’d need to decypher MALighting’s MA-Net protocol. I started working on that one but don’t wait for any release about it since it would probably cause some serious copyright-reverse-engineering-fraud-diaster. That’s just not worth it. Please let me know if this is useful for you. If you build one yourself I’d definitely like to see pictures of it in action. The Buttons that switch the Grandma’s pages are hardcoded to the lower right-end buttons of the controller (‘User buttons’). The Controller’s “Preset + / -” buttons are not used since they do not send any values by default. 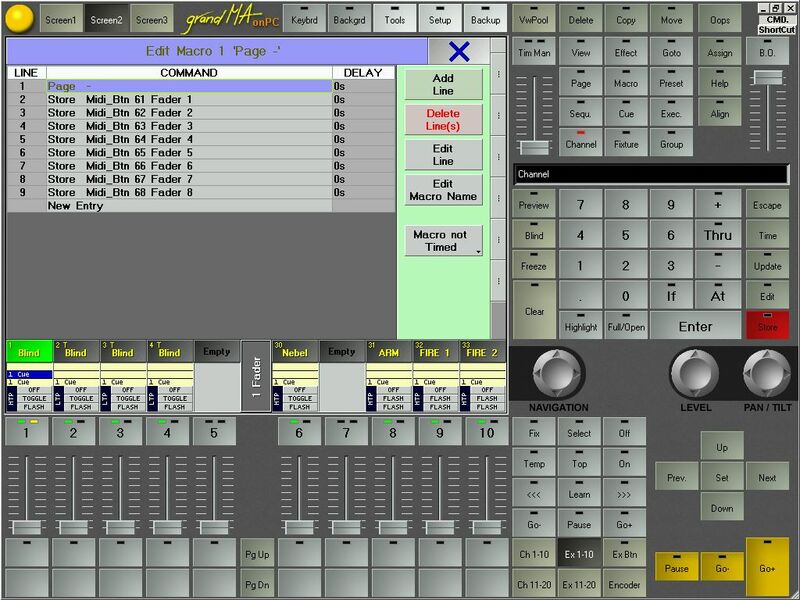 You could, however, change the behaviour of the controller’s “Preset + / – ” with Mark van den Berg’s selfbuilt Editor (which is WAY better than Behringer’s crappy JAVA-Editor) but i wanted to keep the original settings of the Behringer controller untouched. If you carefully look around you will find other solutions. Some of them show the possibility of a 2-way-communication (use the mouse to move a fader at the GrandMa onPc and the BCF’s fader moves as well) . Please realize that this only works for the first two faderpages of the GrandMa onPC. byte Fader; //Bank, Fader; ATMega128 schafft mit dem programm hier nicht mehr seiten. Tagged BCF2000, Behringer, DMX, GrandMA onPC, midi, usb. Bookmark the permalink. 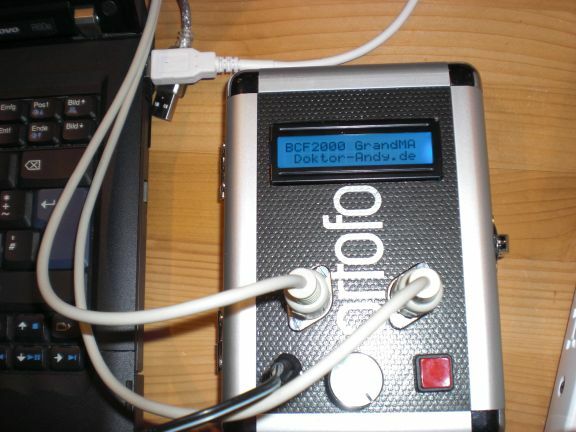 I’ve bought a Grandma 1 Pico and found your ‘old’ page with the bcf2000 connected to a grandma using an arduino. My questions is which midi library you used for the midicode. When I use the standard midi library it doesn’t recognize the MIDI.delMsg() and the MIDI.send(…). Hi! I’ve tried to find out but unfortunately I cannot say exactly which library I used back then. As far as I can remember it was done by ~some French guy~. That’s basically the only thing I could find out. I’m very sorry I can’t tell you more at this point.